Taiwanese fried chicken is a crisp, spicy and juicy meat that is featured in restaurants as well as sold at street food stalls all around Taiwan. The island’s unique take on Colonel Sanders has recently come into the spotlight in the United States as Asian-American street food vendors, including popular Bian Dang in New York City, have added it to their menus. Each chef may bring his or her own combination of Asian spices to this dish; this version is spiced with white pepper, sesame oil and black vinegar. Add marinade to the chicken strips and let the chicken marinate for 20 minutes. Add flour, starch, baking powder and water into chicken. 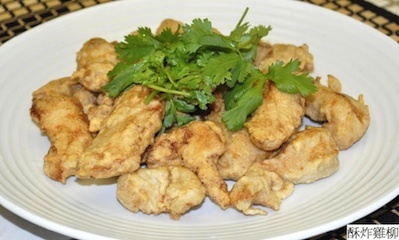 Mix well and coated chicken strips with batter. Prepare a pot for frying and heat two cups of cooking oil in the pot over medium heat. 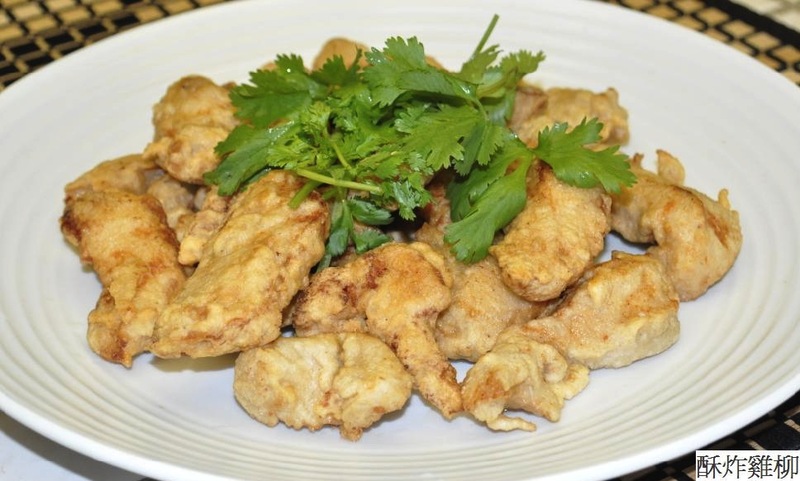 Use a fork to place all the chicken strips one by one into the heated oil, frying each side for two minutes, then turning each chicken piece over until both sides are a golden brown. Place all of the fried chicken pieces on a plate lined with paper towels. Serve this dish with chili sauce, or sprinkle some pepper on the chicken and serve. It also tastes great alone without additional spices. Boneless chicken leg can be substituted in lieu of chicken breast. Don’t discard the frying oil, as it can be re-used for other cooking within a short period of time.